Charlotte Motor Speedway has named Senior Director of Business Development Mike Jones as its 2018 Salesperson of the Year. Presented annually, the award recognizes an employee who goes above and beyond the call of duty in executing his or her responsibilities in the corporate sales department. Jones has been a part of the speedway's corporate sales department since 2003. 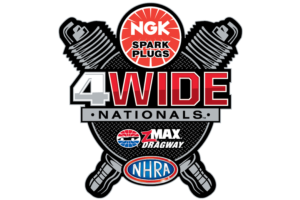 This year, the 63-year-old Charlotte, North Carolina, native sold entitlement sponsorships to NGK, WIX Filters, Can-Am and AAA Carolinas' Disconnect and Drive program. "Mike is excellent at developing relationships with many of our valuable partners," said Matt Long, vice president of corporate sales for Charlotte Motor Speedway. "He's a genuine team player who has the vision and the know-how to create partnerships and, just as important, over-deliver on performance. He's truly deserving of this honor." Jones worked in corporate sales for a national auto parts chain prior to joining Charlotte Motor Speedway. In addition to the new entitlement sponsorships Jones sold this year, Jones' portfolio also includes partnerships with DC Solar, Auto Bell, Jacobsen and Founders Federal. Additionally, Jones manages partnerships related to zMAX Dragway and The Dirt Track at Charlotte. "I am truly blessed to work with so many great people at Charlotte Motor Speedway," Jones said. "This honor is a blessing from God and it's a credit to having amazing coworkers. Over the years, our team has grown to be like a family. Each of us helps the others to do better, knowing that the end goal is what's best for our team. I'm privileged to be a part of that." As this year's Salesperson of the Year, Jones will receive a trip to Las Vegas for the Nov. 29 Monster Energy NASCAR Cup Series Awards, among other perks.